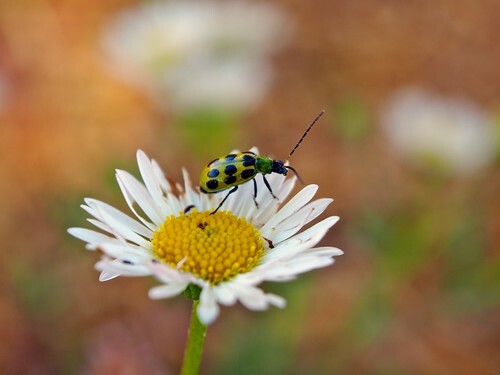 Two of the challenges of macro photography is getting precise focusing and correct position. I've found that a focusing rail is an invaluable tool for close-up work. However, this accessory is usually a bit pricy for the enthusiast macro photographer. 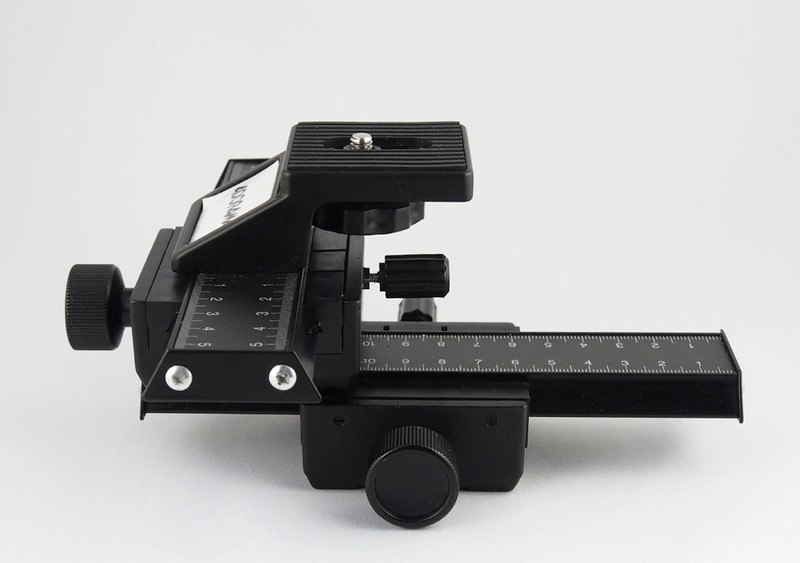 One exception is the Adorama Budget Macro Focusing Rail Set that sells online for $63. 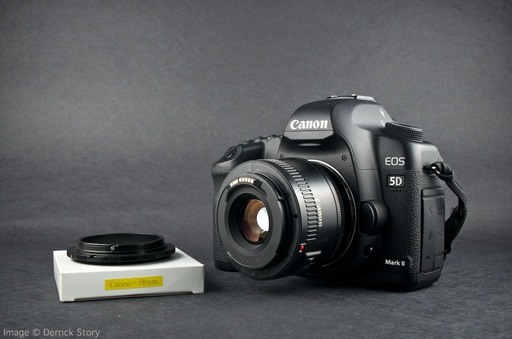 We recently put this device through its paces at the TDS Close-Up Photography Workshop, and it got rave reviews. A couple of the participants have already ordered one for themselves. Adorama's description reads: "Flashpoint rail sysytem provides rack and pinion movement, fine focusing adjustments. Two 6" rails allow movement in four directions, right, left, forward and backward. Mounts on, and accepts 1/4x20 threaded screws, will fit most tripods and copy stands. Positive locking knobs assure rock-steady focus." I leave is mounted on a tripod in the studio. So whenever I need a close-up shot, it's right there and ready to use. We need to shoot often to improve our technique and stay sharp. But it's not always easy to fit a photo expedition into our busy schedules. 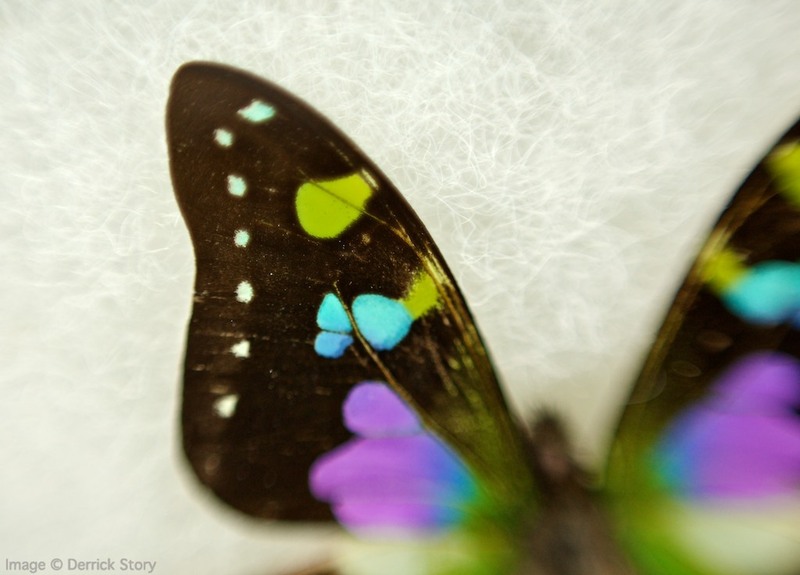 That's when exploring our own backyards can become a photographic paradise. Once the sun begins to shine, I usually stop by the plant nursery and spend $20-$30 on seeds and potted flowers. 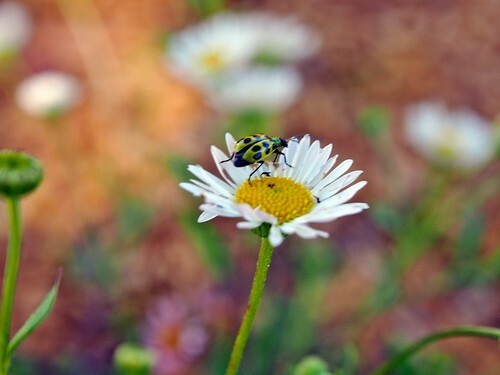 I plant the seeds and repot the flowers, and before I know it, I have a new crop of photo subjects. 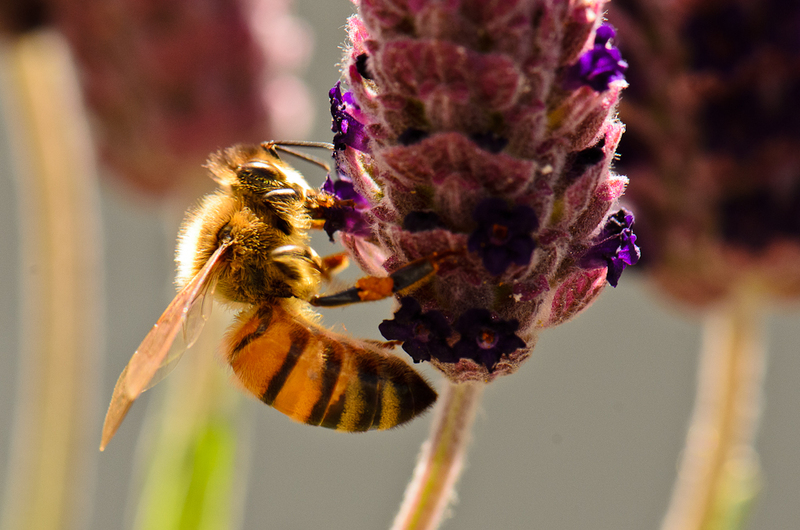 Plus, they attract bees, butterflies, and a variety of interesting insects. 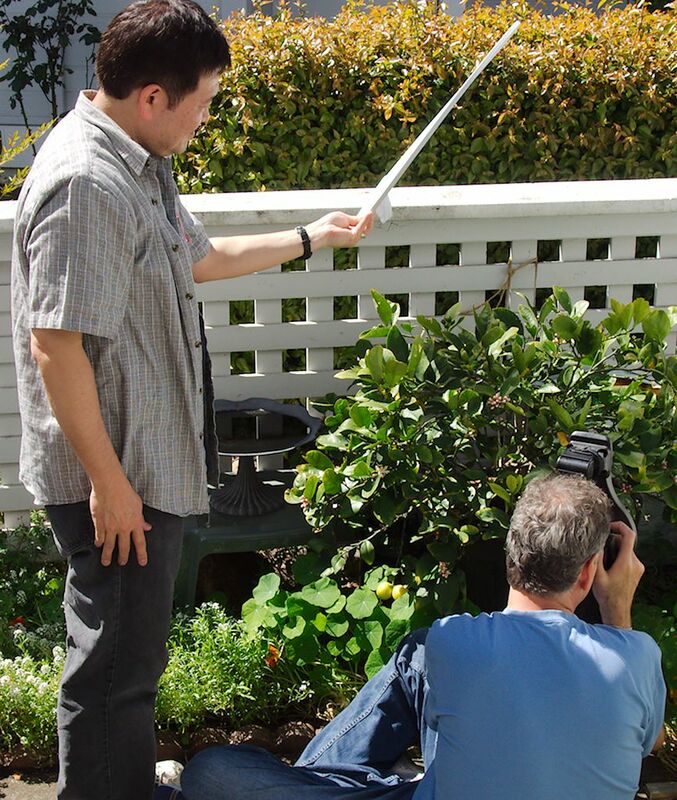 During this patio shoot, Joel Kaneshiro is holding a diffusion panel for Chaz Benedict while he works a subject with a close-up lens and ring flash attachment. For a small investment, both in time and money, you can create a rich photo environment that will provide countless hours of shooting. Images from the TDS Close-Up Photography Workshop. Do you ever have the feeling that your Aperture library isn't feeling quite right? For those Alka Seltzer situations, try running the Aperture Library First Aid tool. Hold down the Option and Command keys while relaunching the application. This handy tool is built right in to the app. And it just might provide the relief you need for that upset database. One of the features on the new Olympus ED 12-50mm F3.5-6.3 zoom that intrigued me was the macro capability. I'm asked all the time if "macro modes are any good." I thought I'd run a quick test with the zoom mounted on the Olympus OM-D E-M5 16MP body and show you the uncropped results. Macro mode on Olympus 12-50mm zoom. Not only does macro mode on the 12-50mm zoom get you closer, it also renders a softer background. Not too bad for a compact lens (3.3 x 2 x 2 inches) that only weighs 7.5 ounces and is weather sealed. To enable close up mode, press the "Macro" button on the side of the lens and move the zoom ring forward to the front optic. Once it locks into place, your world just got a little closer. The zoom sells separately for $499 , but you can save yourself a couple hundred bucks if you buy it in a kit with the OM-D. So is macro mode any good? Well, it's not as close as your dedicated 100mm glass, but I like having this option on an all-purpose zoom that's easy to pack. So, I would say, "yes!". 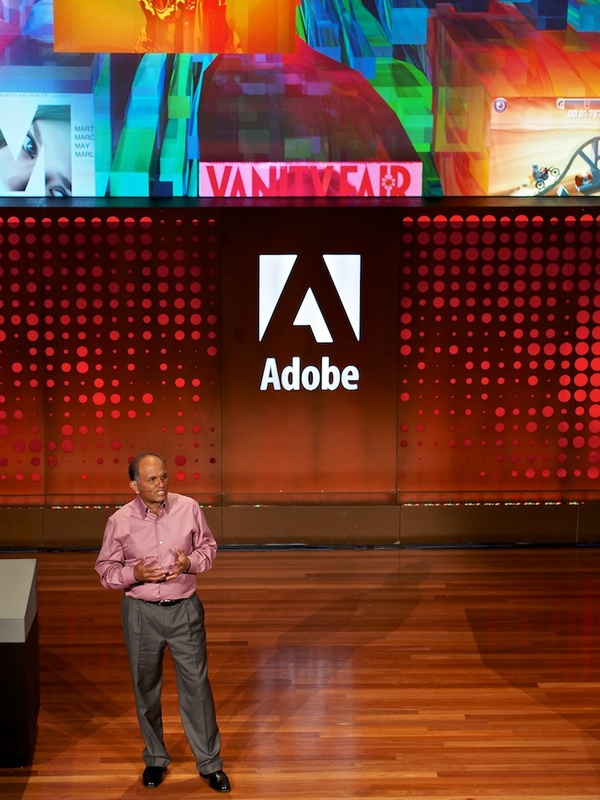 Adobe CEO Shantanu Narayen stepped on stage at the de Young Museum in San Francisco to reveal the path to Adobe's future. 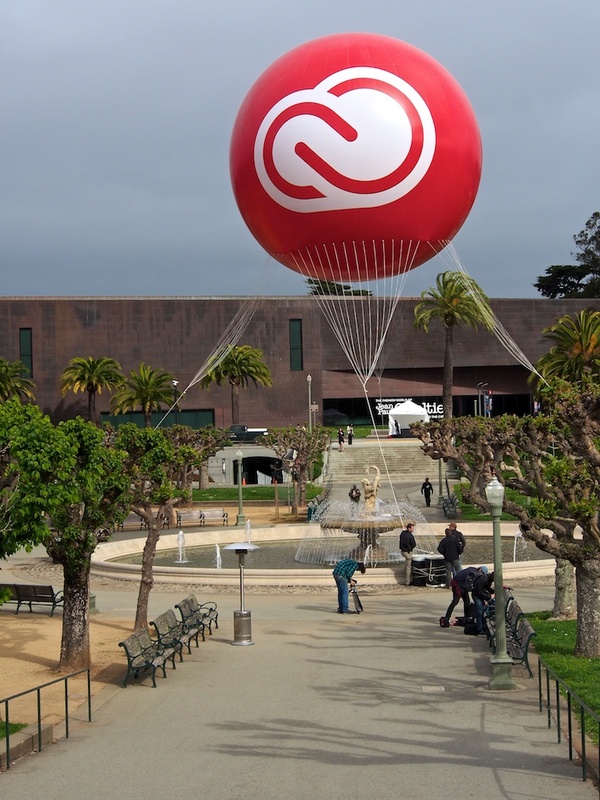 Adobe is hoping that it's a path upward to the Creative Cloud. Adobe's vision of cloud computing goes beyond hosting software and sharing pictures. They see a complete creative environment, a virtual studio that integrates tools, assets, published work, and ideas. On a basic level, V1 looks like this. Creative Cloud membership provides users with access to download and install every new Adobe CS6 application announced at the event and two new HTML5 products, Adobe Muse and Adobe Edge preview. Creative Cloud integrates Adobe's creative tablet applications, such as Photoshop Touch, into everyday work -- seamlessly synchronizing and storing files in the cloud for sharing and access on any device. Adobe Creative Cloud members will have access to application upgrades, including new CS point-product features, before they are launched as part of major CS updates, as well as inventive new products and services as they emerge. Adobe Creative Cloud membership is US$49.99 per month, with an annual contract. A special introductory offer of US$29.99 per month for CS3, CS4, CS5 and CS5.5 individual customers is also available. But on an idealistic level, Adobe wants to build a virtual studio where participants have all the tools they need in an inspirational environment -- not only to create their work, but to easily publish it also. Unlike box software, where the manufacturer builds it then ships, the Creative Cloud will represent ongoing work by Adobe personal as well as its customers. New ideas inspire updates not tied to release schedules. Setting up for the Creative Cloud event at the de Young Museum in San Francisco. Artistic inspiration was the theme of the day. The event was held at one of San Francisco's best museums. The independent artists who created the imagery for Creative Suite 6 were present for the event. And Adobe showed off its in-house talent via demos by respected artists such as Jeff Veen. Will it work? The keys to success will be in the many details that will be grappled with over the coming months. But the concept is solid. My recommendation is, for those of us who are Adobe customers, is to keep an open mind and take a close look at how you could make it work for you. Like any community, the more of us who participate, the better the odds of success. If you're an outdoor photographer who likes stream crossings on a fallen log, jogging down a winding trail, or mountain biking on a brisk Spring day, you'll probably like carrying your camera gear in the just-announced Flipside Sport. 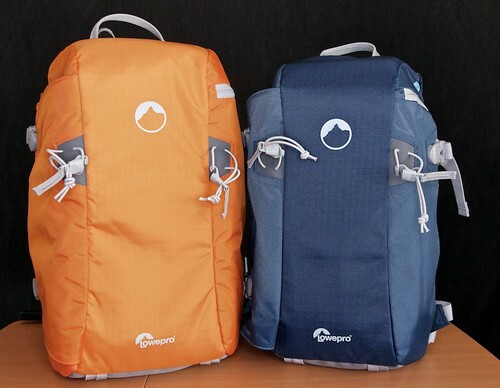 Two models of the Lowepro Flipside Sport. You can see the complete set of images on the TDS Flickr page. 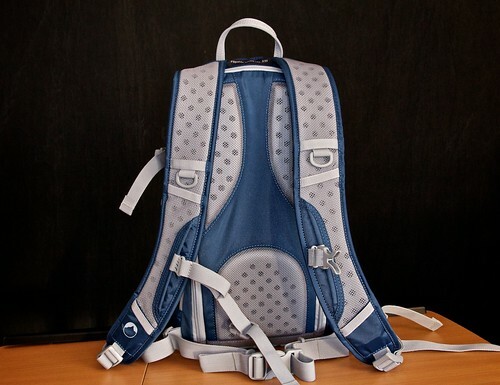 Available in two colors (orange and blue) and two sizes (15 liter and 10 liter), the Flipside Sport is designed with a comfortable, lightweight harness system. This allows you to secure the bag to your body and maintain balance during transport. 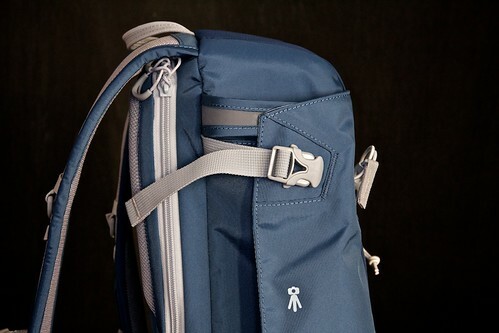 Access to your gear is provided via the zippered rear flap.You don't need to remove the backpack to get to your camera. Simply slide off the shoulder straps and swing the bag around with the waist belt still attached. 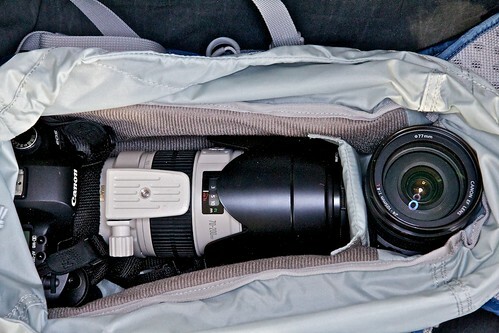 The smaller of the two bags, the 10 liter, will accommodate a 70-200mm f/2.8 IS L zoom on a Canon 5D Mark II body or equivalent, plus the 24-105mm f/4 L lens. The larger bag holds more. Other handy features include innovative tripod transport sleeve, hydration pouch, removable camera box with cover, and an All Weather cover. You can learn more about the Flipside Sport series at lowepro.com/flipside. More images available on the TDS Flickr page.The bag should be available in May 2012. Author's note: This is a pre-release announcement. The Lowepro URL should be updated by midday Monday, April 23. 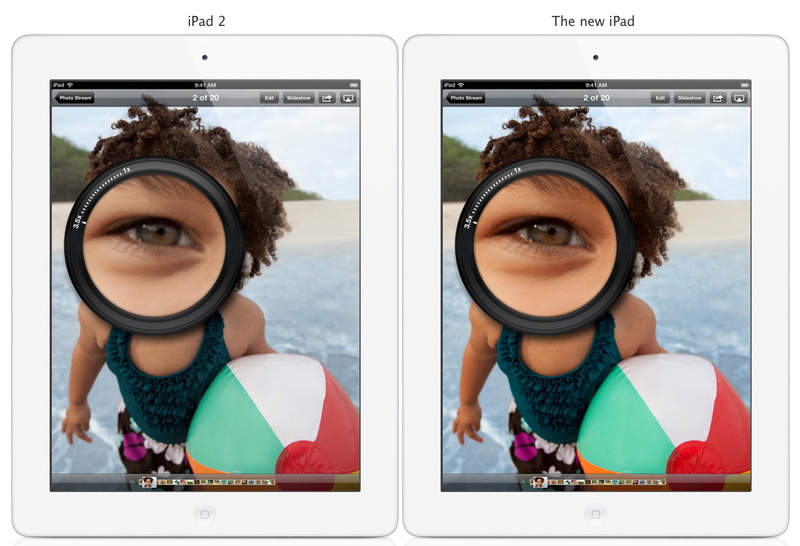 The killer feature in Apple's 3rd generation iPad is the Retina display. The 9.7-inch LED-backlit glossy widescreen shows your pictures with 2048-by-1536-pixel resolution at 264 pixels per inch. And you will notice the difference right away. One of the first tests I ran was to open my favorite shots in Minimal Folio on both the iPad 2 and the New iPad, then place the displays side by side. The difference is stunning. The New iPad isn't only the best mobile display I've seen, it's one of the most impressive ways to look at my images, period. It's like having a collection of SizzlPix that you can carry in your backpack. My workflow for moving images out of Aperture and on to the iPad has changed a bit as a result. I've created a new export preset that saves the images at 2048 on the longest side at 264 resolution. I then upload the files to Dropbox so they will be available to Minimal Folio on the iPad. The files are bigger now than the 1024s I previously used, but the payoff is more that worth it. So that leads us to the question that I and many photographers grapple with: "Is the Retina display worth the price of upgrade?" If you use the iPad as a portfolio to display your work: yes. If the iPad is an important part of your photography workflow: yes. If the iPad is more of an email, web browsing, Facebook tool: you can probably wait, just don't look at The New iPad in the meantime. The iPad 2 is a fantastic device. I was very happy with mine and still use it daily. 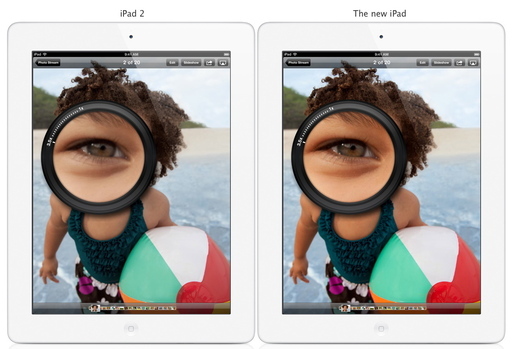 But I needed the New iPad with its improved camera and Retina display for a project I'm working on. And even after reading the marketing copy and in-depth reviews, I was still shocked by the brilliance of the display. It's an amazing tool for photographers. Ring flash is useful for macro and portrait photography. Yesterday I reviewed the impressive Orbis Ring Flash and bracket that combines versatility with professional results. And even though it's more affordable than much of the competition, it will still set you back $249. 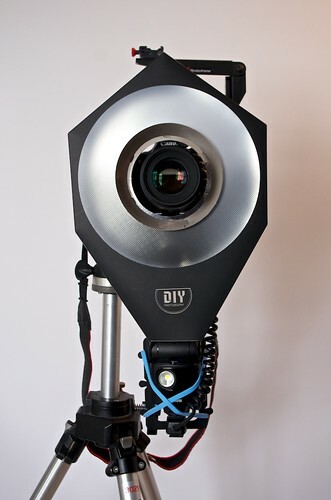 If you want to experiment with ring flash lighting before making that kind of investment, take a look at the DIY Ring Flash Kit that you build yourself for $35 including the bracket. A few days after placing your order, you receive a flat box with the contents of your kit and a well-written instruction guide. I spent about 20 minutes assembling the components. If you want to see all of the steps involved, take a look at my Flickr set titled DIY Ring Flash Assembly. Once completed, I mounted my Canon 320 EX Flash and took some pictures. The ring light worked remarkably well, and this is definitely a good way to become familiar with this type of lighting. 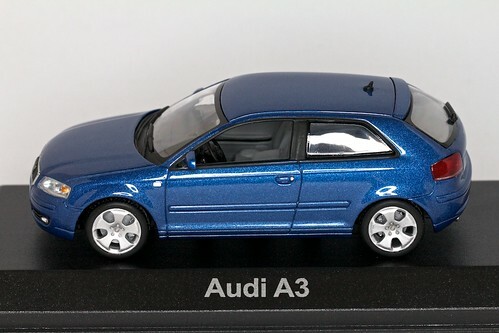 Small Audi A3 model photographed with just the DIY ring light. If you decide you like this type of flash modifier, I would consider getting a more sturdy rig such as the Orbis Ring Flash. The DIY kit isn't as sturdy, and it's a bit clunky to use. Another downside is that if you want to use a strobe with a larger flash head, such as my Canon 580 EX, you have to stretch the opening of the modifier to make it fit. Plus, you wouldn't want to show up at a model shoot with this attached to your camera. 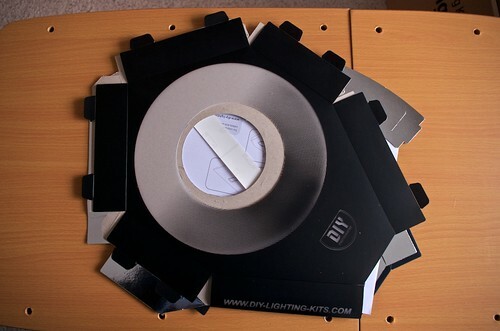 That being said, the DIY Ring Flash Kit is a great weekend project that will introduce you to the joys of ring lighting. We'll be playing with this one over the weekend during my Close Up Photography Workshop. With the closing of MobileMe, and Flickr seeming to fall behind the pack, it reaffirmed my belief that it's best to have complete control over your photos. In this week's podcast, I talk about the balance between local storage, online storage, and sharing via social media. Each avenue presents its own challenges and benefits. The trick is using them correctly, and staying on top of the game. Enter to Win a Nikon 1 with 10-30mm zoom lens by "Liking" Red River Paper Facebook Fan Page. Macro is the April 2012 Photo Assignment. You can read more about how to submit on our Member Participation page. Deadline for entry is April 30, 2012.